Connected home services need to work smoothly and intuitively, says Ericsson ConsumerLab. The complexity of the connected home devices and equipment is one of the biggest reasons for the slow uptake of the concept of the truly connected home. 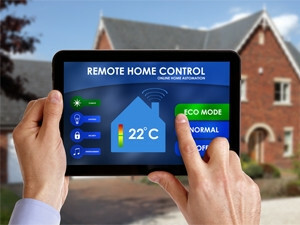 That's according to a recent report from Ericsson ConsumerLab entitled Connected Homes, which examines attitudes to connected homes, where household services are enabled by Internet connectivity. The study was based on a series of at-home interviews held in Barcelona and Madrid in Spain and San Jose, US. In addition, 5 000 responses from Chile, Russia, Sweden, Spain and the US revealed that nearly half of those questioned showed a strong interest in the idea of a truly connected home, with health and wellness being among the areas of greatest interest. According to the report, there are dozens of connected services available to help consumers save time and preserve the sanctity of home life. However, the report states frequent use of these services involves a great deal of equipment and different devices, all needing a number of cables and apps, which results in added complexity. Another recent research from Argus Insights notes although the connected home market saw growth throughout 2014, it is now shrinking. Ericsson ConsumerLab notes connected home services need to work smoothly and intuitively. If not, this leads to frustration and distrust. Respondents said an ideal connected home would be easy to update and change, simple to maintain, and easy to operate for all family members. Not all family members will have the same level of technical knowledge, so they cannot use services independently of the primary user, the report notes. "There was a generally positive response to the concept and benefits of a connected home," says Patrik Hedlund, senior advisor for consumer insights at Ericsson ConsumerLab. "But we found that those who actually have a connected home are not the same as those who would benefit most from one. "The report shows families may be missing out. Currently, connected home services are largely used by younger single males living alone, while the group that would benefit most are families with young children. Those benefits could include a smarter way to handle household chores and remote home entry for family and friends." One barrier at the moment is that some people don't see the value of these kinds of services, Hedlund says. "For connected homes to be more successful, services must be aligned with people's needs, and really target the groups that have those needs." The report also shows that consumers are calling for more simplification and support with regard to connected home services. Four out of 10 of those interviewed would like to see integrated connected home services, while the majority would like to see more support and advice when it comes to using connected home services. Consumers think there are many potential suppliers of connected home services. However, when asked about their preferred provider in individual connected home categories, people generally favoured market leaders in each category.